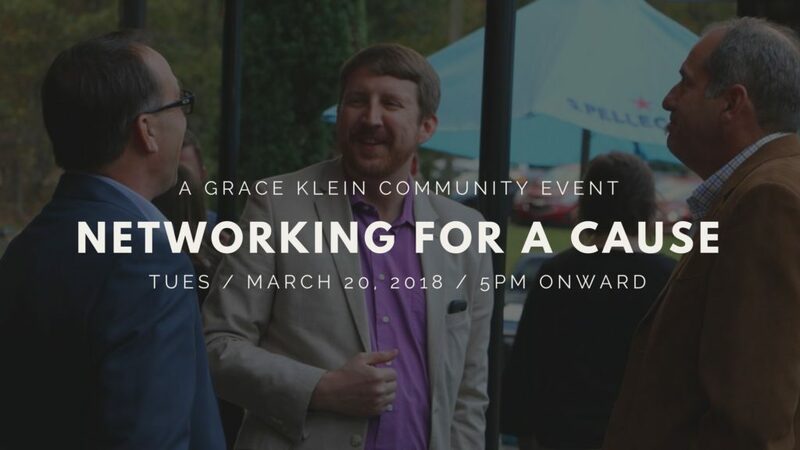 On March 20, 2018, Grace Klein Community will hold its quarterly Networking for a Cause event at Vecchia Pizzeria & Mercato. Networking for a Cause is a free event that provides a great opportunity to meet new people in the Birmingham business community, build relationships, and make new contacts, while raising funds to assist families in the Birmingham area with food, clothing, and household items. An average of 150 business professionals attend our networking events. Networking for a Cause was created to help build community among local business professionals, providing information and opportunity to get involved with Grace Klein Community. The networking event unites several networking groups and sponsors to help fund the efforts of Grace Klein Community to provide food assistance to local families every month. All proceeds from this event will benefit the local outreach efforts of Grace Klein Community. Please join us for an evening of networking, great food, live music, a silent auction, and door prizes.